Published: Oct. 10, 2017 at 12:11 a.m. The Chicago Bears pull off the fake punt as running back Benny Cunningham takes it to the house on a 38-yard touchdown. Published: Sept. 24, 2017 at 01:25 p.m.
Pittsburgh Steelers WR Eli Rogers muffs punt return. Chicago Bears CB Sherrick McManis recovers. Published: Oct. 18, 2015 at 03:33 p.m.
Detroit Lions wide receiver Corey Fuller muffs punt, Chicago Bears recover. 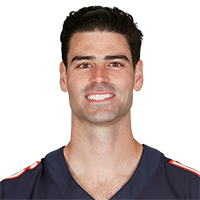 Published: Oct. 18, 2015 at 03:08 p.m.
Detroit Lions wide receiver T.J. Jones muffs punt, Chicago Bears special teams recover fumble.